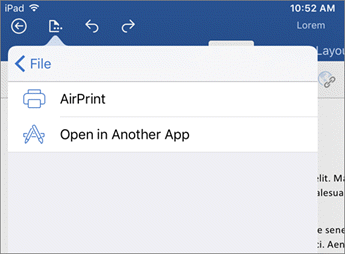 If you’d prefer to print with a different printing app, you can do that in Office for iPad using the “Open in Another App” feature. Choose Open in Another App. If you're using Word or PowerPoint you can skip to step 4. If you're using Excel you'll see a Layout Options dialog box. 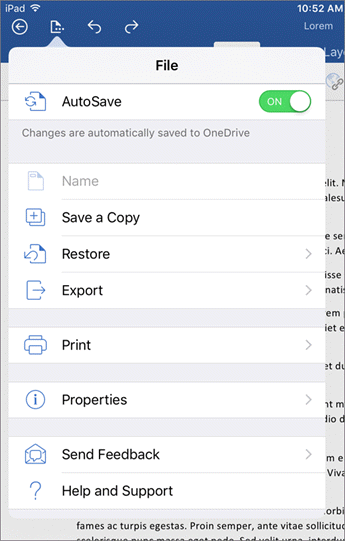 Make any changes you'd like to how the document will print, then tap Next. 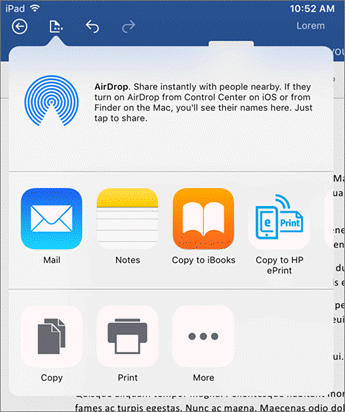 In the middle panel, choose the app you wish to print your document with. 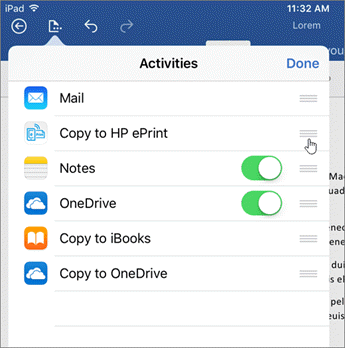 Office for iPad will send your document to that app where it can be printed. If your list of apps is wider than the window you may have to scroll right to find it. If you use that app a lot you can move it higher up the list by scrolling all the way to the right, tapping More, finding the app on the list and then dragging the handle (reorder control) up to where you’d like it to appear on the list. Have questions about Office for iPad that we haven't answered here? Post a question in the Office for iPad answers forum.